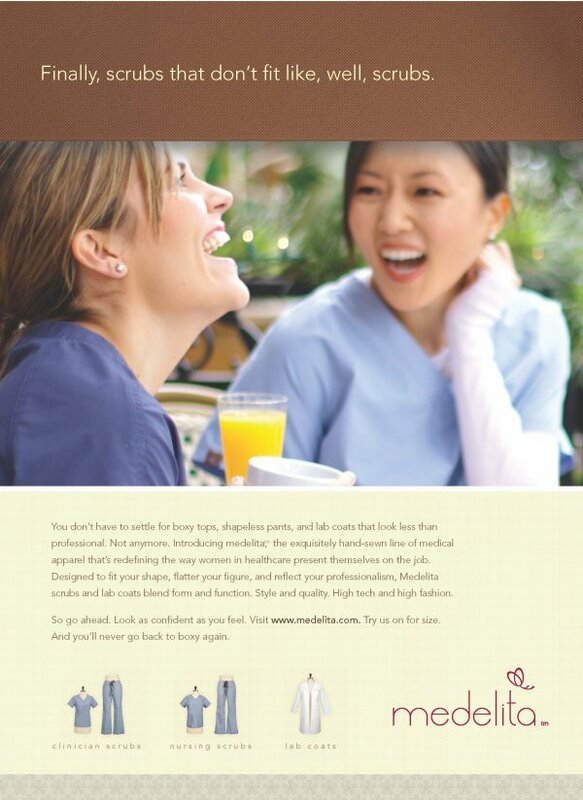 Medelita wanted to launch its revolutionary line of high-end scrubs and lab coats with a print ad campaign that reflected the exacting quality, refinement and attention to detail that went into making the uniforms. 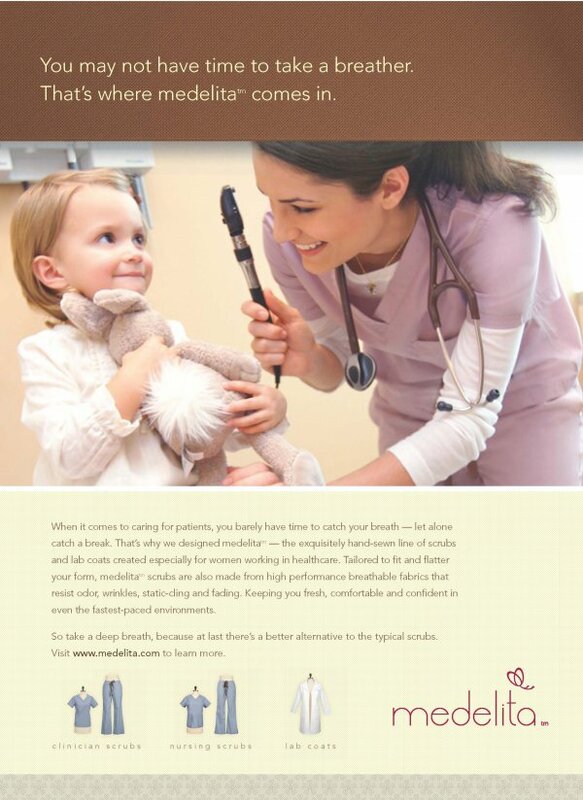 Working closely with the art director and Medelita owner, we crafted a series of ads that clearly communicates the unique benefits of the product, while also recognizing the dedication, compassion and hard work of women in healthcare. 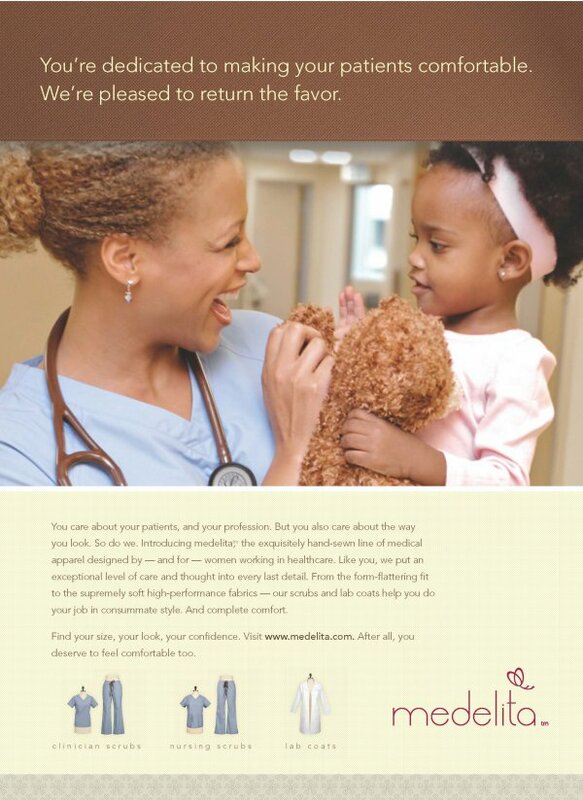 The ads received a tremendous response, and Medelita now has a thriving and fiercely loyal following. In the wake of their initial success, the company has recently launched a line of accessories and men’s professional-grade lab coats. 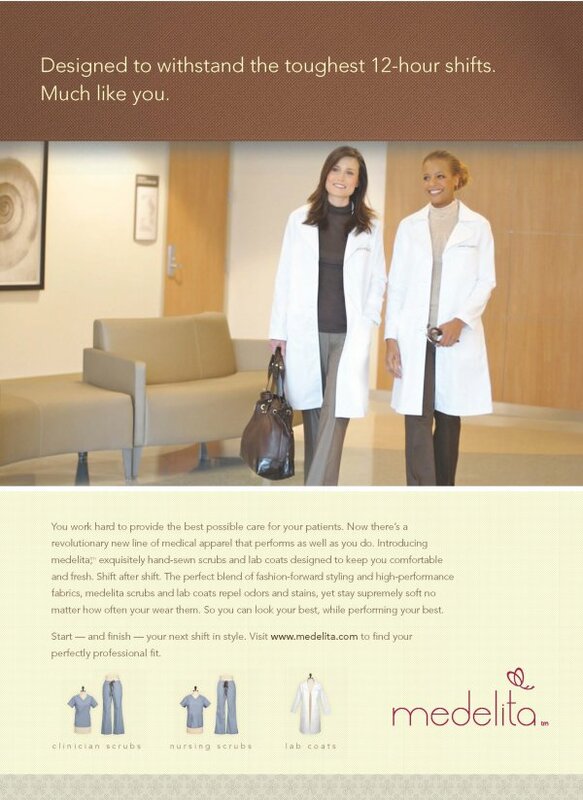 Visit www.medelita.com to check them out.